When you’re planning on burning fat and improving your body composition it can be hard to know which workouts will optimize results. You want a program that gets you ripped fast, but are unsure which one to choose. With so many different ways of training you can often find yourself chopping and changing and not really committing to the cause. And that means you’re less likely to reach your targets. Tabata training has emerged over the last few years as one of the best ways to improve cardiovascular endurance and fitness, but at the same time make drastic changes to your physique. 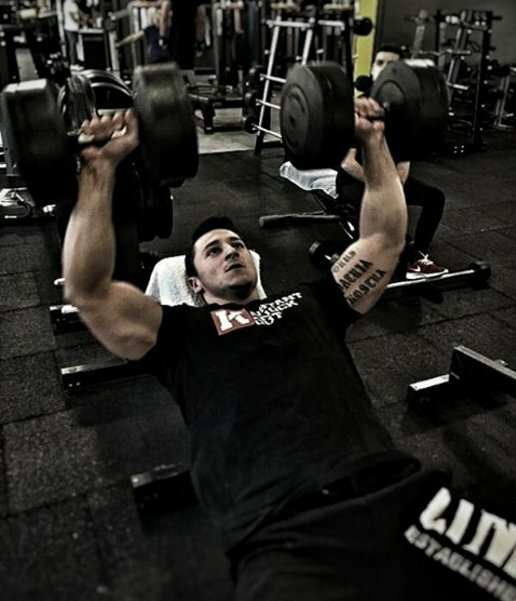 In this article we’ll break down exactly what you need to know to get the best from this brilliant but brutal workout. Want to lose fat? Do Tabata. Not many people know this but Tabata training is named after an actual person – Izumi Tabata. As a Japanese higher education sports scientist, Tabata and his colleagues at National Institute of Fitness and Sports in Tokyo, devised a specific type of high-intensity interval training approach with the intention of maximizing fitness. In the initial study , two groups of athletes were asked to take part in different workout protocols. The first group participated in moderate intensity exercise five days a week for six weeks. The second group took part in a higher intensity program that was performed four days per week – also for six weeks. The moderate intensity group exercised continuously for around an hour whereas the HIIT group only exercised for four minutes. Those four minutes weren’t continuous though – instead they were split into mini intervals. The research team asked the group of athletes to cycle as hard as possible for 20 seconds. This was followed by 10 seconds of rest. The group did this 8 times in order to achieve the four minute total. It was hell for them. But those four minutes provided a lot of benefits. Although it’s only a short workout, Tabata has been found to produce some amazing benefits. As a tough workout, its high intensity nature produces physiological effects that moderate intensity training just can’t match. Firstly, the maximal oxygen uptake of the group in Tabata’s study increased by 7 ml. kg. per minute. Also referred to as VO2max, in plain English this means that the group’s ability to tolerate maximal workload improved massively. On top of that, the group also showed a 28% improvement in their ability to work above their aerobic threshold – an intensity referred to as anaerobic or ‘supra-aerobic’. It did this by drastically increasing oxygen debt. Because the intensity is so tough, the body burns off a high amount of energy and elevates the heart rate to maximum levels. The amount of mitochondria in your muscles will increase too. These are specialized pars of cells responsible for converting oxygen into usable energy . The more you have, the fitter you are – and the better you at burning fat. Additionally, you’ll get better at tolerating lactic acid, meaning you can work harder for longer. Being able to put up with that horrible feeling of burning in your muscles means you can train harder and for longer periods of time. How Does Tabata Help With Fat Loss? With you leading such as busy lifestyle, a short workout that still burns fat sounds like the golden chalice. But it’s true. When you exercise at such a high intensity your body has to work hard to elevate heart rate and break down energy. To do this you have to use a massive amount of calories – around 14.5 kcal per minute  to complete the workout. And of course let’s not forget the fact that Tabata training causes a massive oxygen debt. When oxygen debt is increased, the body’s metabolism goes through the roof. Whilst the science behind the process is complex, all you need to know here that oxygen boosts excess post-exercise oxygen consumption (EPOC). Think about oxygen being like money. Whilst you exercise you dip into your wallet and use up a ton of money to power through the workout – the tougher the workout, the more money you use. This is your oxygen debt. But all debts need to be repaid. So in order for your body to fill your wallet back up it has to build back up the stores of energy. The only way in can do this is by increasing its metabolism to help the body work harder to restore the energy quicker. It does this until the debt is paid off. This is the EPOC effect. A good Tabata session can boost your metabolism and EPOC for up to 24-hours. This means that for the rest of the day you are burning more calories – even at rest. Finally, the more mitochondria you have the more efficient you are at burning fat – even at rest. As an integral part of fatty acid metabolism, increasing the amount of mitochondria you have directly correlates to the amount of fat you can burn at any one time . How Can You Implement Tabata Training? If you’re a purist then you’d only ever perform Tabata training on a bike. After all, that’s what was used in the original research. But then you’d be really limiting yourself, you’d soon get bored and you’ll probably move onto something else. Although the initial study was conducted on a braked cycle ergometer you can perform it using whatever activities you want. The main theme is that you follow the 20 second work, 10 second rest protocol. You can try the rowing machines or sprints to maintain an element of cardio in your program, or you can set up a body weight circuit to challenge your muscles too. As long as it’s safe to perform activities at maximal speed then you can fit it into your program. Tabata is a high-intensity workout. It get results but at a higher level of risk than moderate intensity exercise. This means that if you are a beginner or have an illness or injury then it might not be for you. It is easy for Tabata to become too hard and this can lead to further complications if you haven’t got a good base of health and fitness. We suggest that you give this workout a try, but only after you speak to your physician first and then perform it at your own risk. It’s always better to be safe than sorry. How Many Calories Do You Burn in a Tabata Workout? What is a Tabata Interval?